Why build anything using bricks? Small but amazing. Benefits of cayenne pepper to prove that phrase. In addition to superior taste spicy, cayenne pepper also contains many useful as a drug. Chili pepper (Capsicum frutescen) discovered by the Indians, South America, before the 16th century. After that the Portuguese and Spanish vigorous trade this commodity to the entire world. The development of treatment using a small chili is long to happen. Modern research on the use of cayenne as a medicine was first done by a botanist named John Gerard, author of History of Herbs, in the year 1597. Then, in 1652, Dr. Nicholas Culpeper, an alumnus of Cambridge University, England, doing the same research. 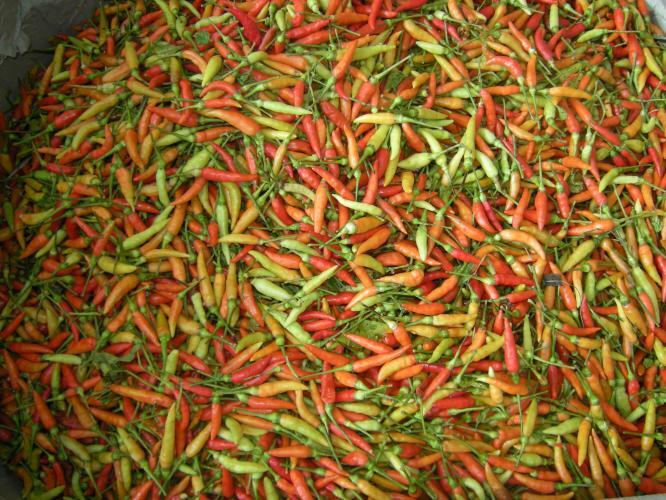 He mentioned that cayenne pepper can be used to treat toothache, aid digestion and urine, and remove kidney stones. The content of cayenne pepper that is often used as a drug is capsaicin. The nature of the substance is not soluble in water gives a sense of spicy and hot that not only can be felt the body, but also the skin. These substances have the power to control the pain. The heat is, in some literature mentioned will give effect to the tissue that is directly related to substance P and prevent the accumulation of these substances. Substance P served as the givers of pain messages to the nerve receptors in the body which is then delivered to the brain. Hence, the activity of capsaicin in treating pain pretty well. Therefore, these substances affect only one type of pain receptors only. On the other hand, capsaicin can also trigger the formation of endorphin hormone produced by the brain. Endorphin hormones will be formed when the body is in a state of happiness or pleasure. The release of these hormones due to an indirect stimulus to boost immunity. At this point the nerve receptors may provide comfort to the sick body part. That is why, in a guide book about medicinal plants written by James A. Duke, Ph.D., noted that capsaicin has proven effective in relieving pain. On the other studies mentioned, besides good for relieving pain due to headaches, capsaicin is also useful for overcoming arthritis or arthritis. The use of chili sauce as a traditional treatment has been known in China, India, Japan, and Korea. 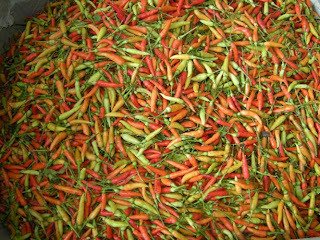 In China and Japan, cayenne pepper herb used as a stimulant for people suffering from indigestion. In people with digestive disorders, chillies will alleviate the complaint by way of stimulating salivary glands (saliva) and secretion in the stomach. Capsaicin is believed to reshape the network in the stomach and helps peristalsis of the colon by stimulating gastric secretion. That way, the body can dispose of leftover food digestion results with smooth and formed hidroklorit acid to digest the juice. No less important, cayenne pepper can also expedite the circulation of blood and relieve the swelling that occurs in veins. Veins differ from arteries that have a narrower diameter, making it easier to be swollen. Cayenne helps the blood circulation through the veins easily. This plant can also prevent blood clots because it is an anticoagulant. Because it contains vitamin C and bioflavonoids, as noted by Dr. Richard Schzul, lecturer at the School of Natural Healing in Springville, United States, cayenne pepper can prevent heart attacks. Two kinds are able to strengthen the walls of veins and can restore the elasticity of blood vessels. According to some research, prevention against heart attacks by cayenne is just as good with modern treatment. With cayenne pepper, pain in angina pectoris when heart muscle is deprived of blood, can be lost. Capsaicin can easily get into the heart meridian, then pump blood and nutrients to the heart muscle. That means that cayenne pepper contains nutrients that are good for heart health. A study published in the Journal of the Idaho Observer in May 2003 by the doctors in the U.S. West Coast to prove that a network in the heart can live and continue to grow simply by giving extract of cayenne pepper. According to Revelation Suprapto, an expert on medicinal herbs, cayenne pepper extract can be obtained through the refinement process using the blender. An expert on medicinal plants and traditional healers from the U.S., Dr. John R. Christopher, explaining that the chili sauce has many uses that have not been known by the public. Ignorance is the result from the perception of society that considers a very spicy chili sauce and become dangerous if used as a drug. That is why, the use of cayenne as a spice in cooking is more developed than for treatment. Therefore, always consult the user prior to the herbalist or your doctor. My site is worth$3,171Your website value?